Cal-Sea-Hum (simply pronounced 'Calcium') is an organically approvable liquid calcium solution. It is derived from natural calcium carbonate and organic complexing agents and provides bio-available calcium to plants. Many issues can cause deficiency of various nutrients required for plant growth and development. Calcium deficiency, is an easier problem to notice and help to prevent, particularly in tomato plants. 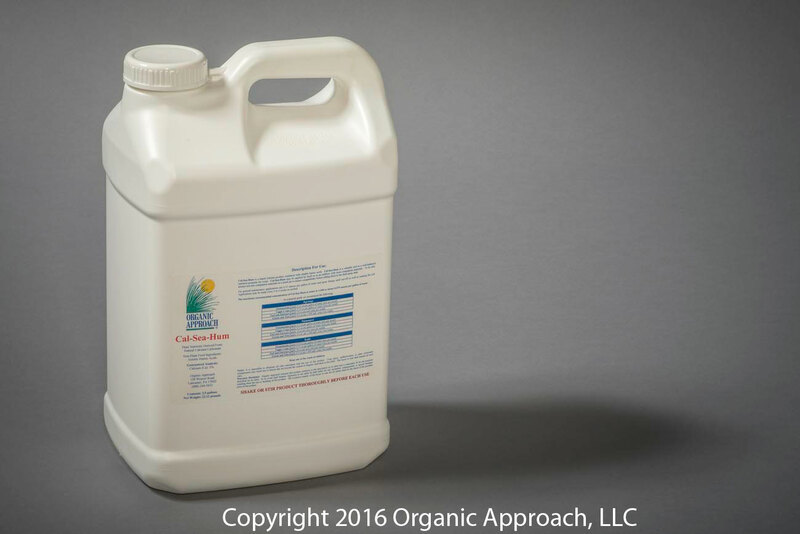 This product is designed for the purpose of adding a soluble form of calcium to plants for their immediate use. Cal-Sea-Hum promotes the natural health of plants and their abilities to function properly. For general maintenance applications use 0.33 ounces per gallon of water and spray foliage until run-off as well as soaking the soil. Applications may be made every 2 to 4 weeks as needed. The maximum recommended concentration of Cal-Sea-Hum to water is 1:340 or about 0.375 ounces per gallon of water. Greens and Tees: apply 0.5 oz per 1,000 sqft. every two weeks.